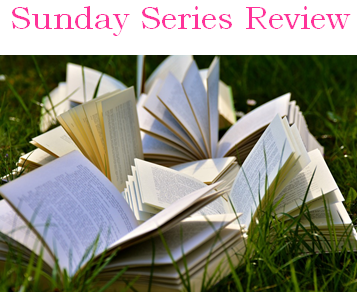 Today the Sunday Series Review is back: Again, in time for Halloween, today Kim reviews The Haunting of Sunshine Girl Series by Paige McKenzie! I bought The Haunting of Sunshine Girl two years ago during my creepy book stage. I read it and loved it. Unfortunately, the first two times I read it, once when I first bought it and again when I bought The Awakening of Sunshine Girl, I easily forgot it because I skimmed it. Thankfully I have matured in my reading and, as they say, third time’s the charm! I really love this series! Sunshine is one of those rare, mature teens who fits in better with adults than she does with kids her own age. The one teen she does get along with best is Nolan, who is also a mature teen. And what’s really nice about this series is that its not full of teenage drama. Yes, Sunshine’s relationship with Nolan and later with Lucio gets a little complicated, but never does it get annoying. I love how she considers her mom to be her best friend, aside from her actual teenage best friend, Ashley. All I could think was, “oh good, I’m not the only one who has Mom as her best friend!” And strangely enough, Ashley became one of my favorite characters by the end of the series! She is the typical, boy-crazy, shallow teenager, but she’s so funny and loveable and cute that I started liking her very quickly! The story is unique and not just a rehash of every other YA book out there. Sure, there are some similarities, but nothing too obvious. Considering that this series is considered fantasy, it’s actually very realistic. Overall, McKenzie did a great job of writing a continuous, fascinating story with great characters and interesting settings. This series is perfect for middle and high schoolers, not too much language and not too scary. A great series!! Today’s First Line Friday is the second one in The Haunting of Sunshine Girl series. Sixth period biology isn’t where most people expect to see a ghost, but I’m not like most people.